Artfully Painted Designs, Screen Printed in Striking Singlar Tones. 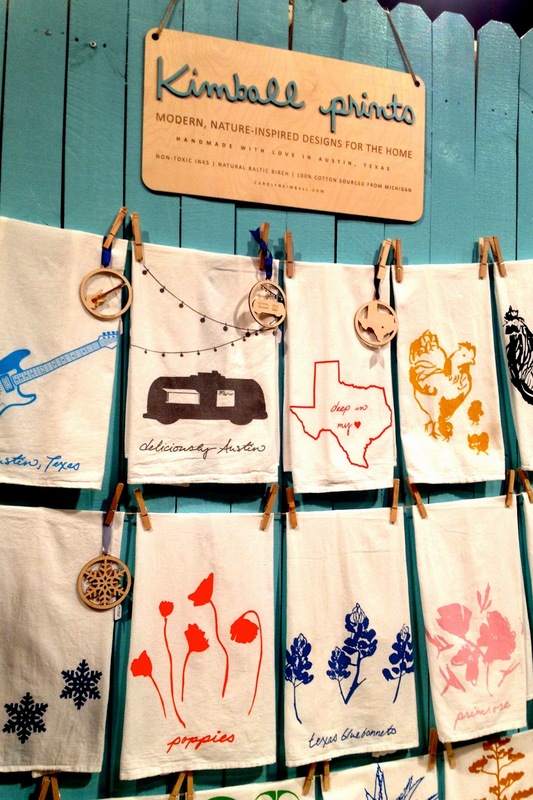 Handmade Home Goods Inspired by a Mix of Nature & Texas Flair. While I tend to focus on one specialty when I profile an artist, the truth is that most of these one-of-a-kind individuals are multi-talented. The creative spirit that drives these crafters often comes with a love of exploration. 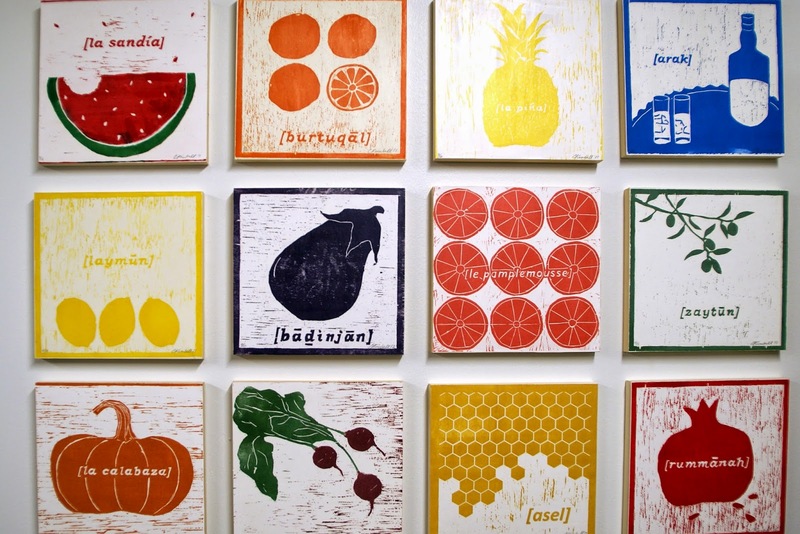 Carolyn Kimball for example, an Austin based artist who spent most of formative years studying printmaking, fits this description to a tee. To this day, she certainly dedicates a lot of her time to the art that she mastered in, but her secret to truly original work is the time she spends beforehand composing each design. 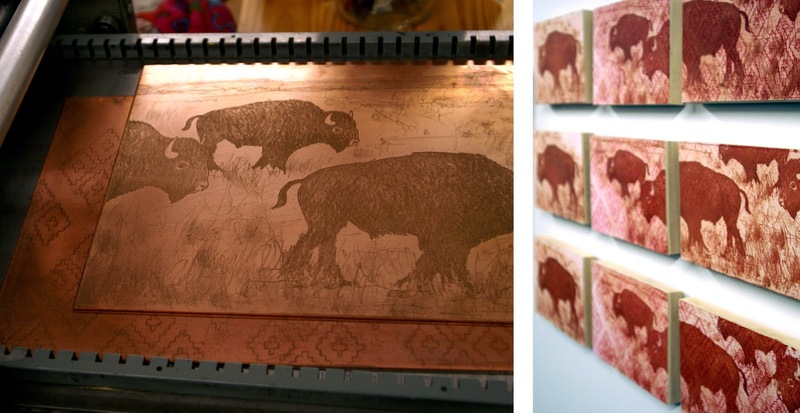 For Carolyn, it is important that her prints are based on quality ideas, images she creates with watercolor and other artistic techniques. This gives each piece an added level of depth with a painted feel for example, even though it's been reprinted. Carolyn finds her inspiration in nature, often featuring plants and animals with her own characteristic style. Of course, you can't escape that she's from Texas because she also comes up with a number of clever references to what's great about our state. Boots, Cacti, Blue Agave, Mocking Birds and more, handled with care from conception to final product. 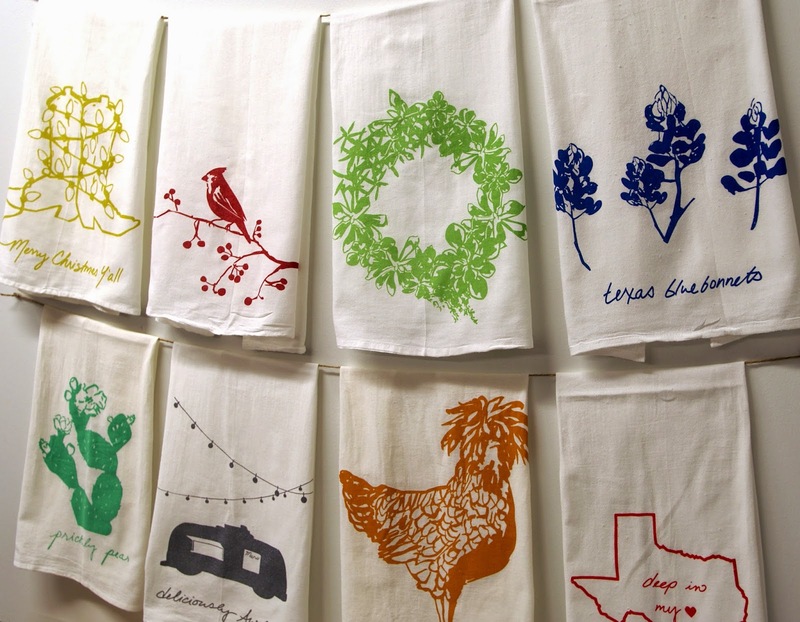 Some of Carolyn's most common creations are prints and tea towels. 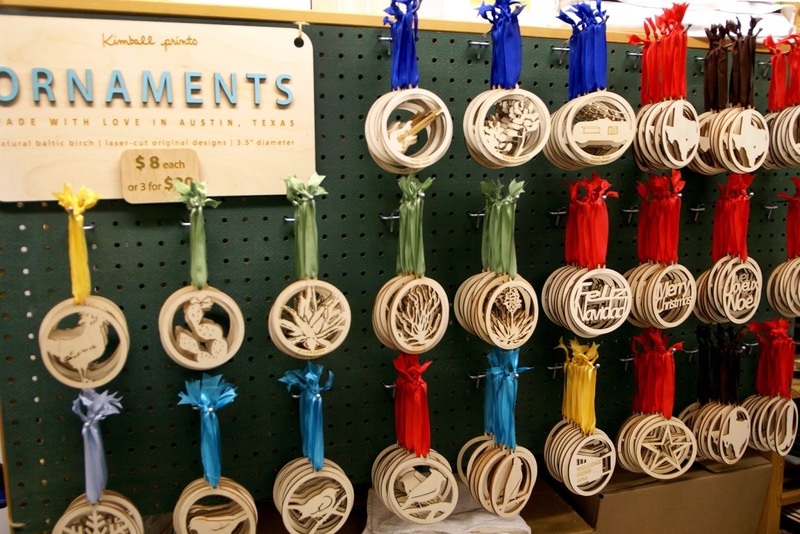 This time of year, she also offers a range of laser cut wooden ornaments with the same cutout feel of her single tone screenprints. This artist seems to have mastered handmade Home goods well suited for gifting to those you love. Check her out online or at Blue Genie Art Bazaar this holiday season!